When the sun is shining bright, this shirt shines even brighter. 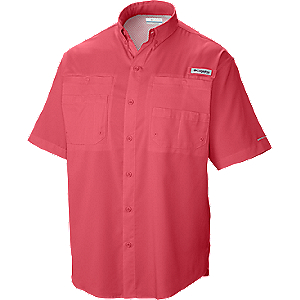 With its mesh-lined vertical back vents, UPF 30 and quick-drying and moisture wicking properties, this shirt has saved me from getting scorched and overheating during the dog days of summer. This shirt was originally purchased for my wedding, in which I wore it with my REI Adventures pants and my Chaco Z/1 Unaweep sandals. It was an outdoor wedding (no shade during the ceremony) in the heat and humidity of mid-August, so I knew I needed something lightweight and breathable, not to mention I knew it needed to pass the fiance (now wife) approval test. 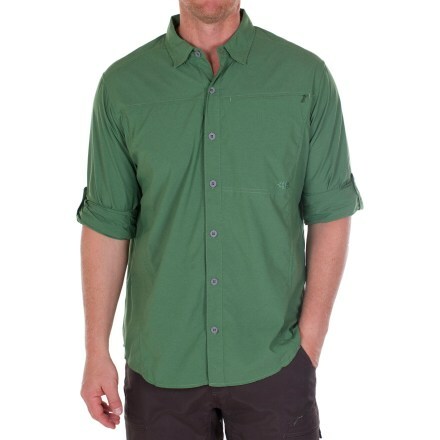 A huge bonus was that when I purchased it I knew I could wear it for many years to come and in a many different settings (ie: hiking, fishing, canoeing, working in the office, semi-formal occasions, etc.). Two years later and I still wear the shirt almost weekly, especially during the warmer summer months, which this shirt performs best in. The shirt fits great, once I figured out what size to wear. 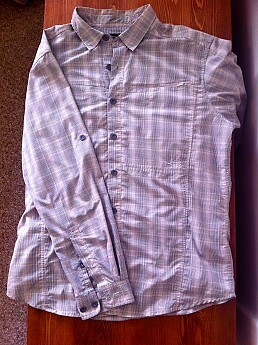 When it comes to shirts, I almost always wear a size large, and on a rare occasion will wear an extra large. In this case, it was the medium size that fit me best. I even fit into the small without much effort (which was bizarre), but it was a little snug and I just couldn't bring myself to buy a size small shirt. I don't know if Ex Officio is trying to get people to feel better about themselves by sizing things like this (ie: "Hey, wow I haven't fit into a size medium in 10 years, I must be losing weight"), but I would imagine this would have been a big pain had I ordered this shirt online instead of buying it in a store where I could try it on. "Summer Ain't Got Nothing On Me" Comfort — this shirt beats the summer heat. 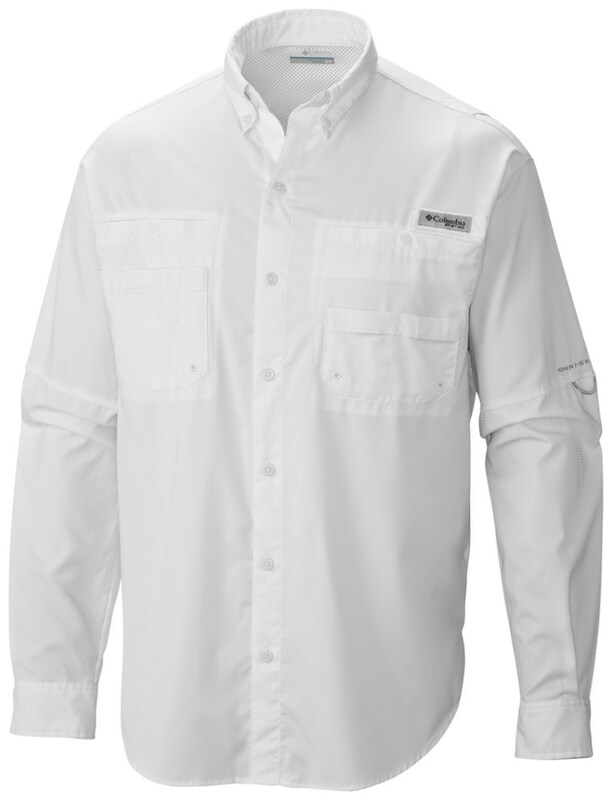 The back vents keep me cool, the long sleeves offers added sun protection to go along with the UPF 30, and the nylon/polyester (58/42) fabric is lightweight and dries quickly. "Oh Hello, I Forgot You Were Even There" Comfort — some pieces of gear or garments are better if you can forget they are even present. Think of the way a loaded pack can either always be nagging at your shoulders or back and that's all you think about or how on the contrary, it can fit just right and you can hike along the trail without ever thinking about the 30, 40, 50+ pounds on your back. This shirt is like the pack that you don't even remember is there. It's so lightweight, comfortable and proper-fitting that at times, it's easy to forget that I'm wearing a shirt at all. "My Body May Be In The Office, But My Mind Is On The Trail" Comfort — this shirt has enough dressiness to it that it can easily be worn in most offices (okay, maybe not if you're a lawyer or a mortician). You couldn't get away with this wearing many of the back-vented hiking shirts out there because they make it look like you're wearing a cape, and that's just weird in the office. This one is different in that the vents are discreet, the collar stays in place with hidden buttons and the cuffs have two buttons. It's so close to dress shirt that your co-workers won't know the difference. 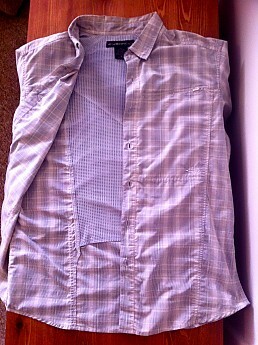 The only catch I've had in trying to wear it on more semi-formal occasions is in getting the wrinkles out. It's sensitive to the iron (must use super low setting) and I hate to throw clothes in the dryer if I don't have to, but when I line dry it, it often dries wrinkly. 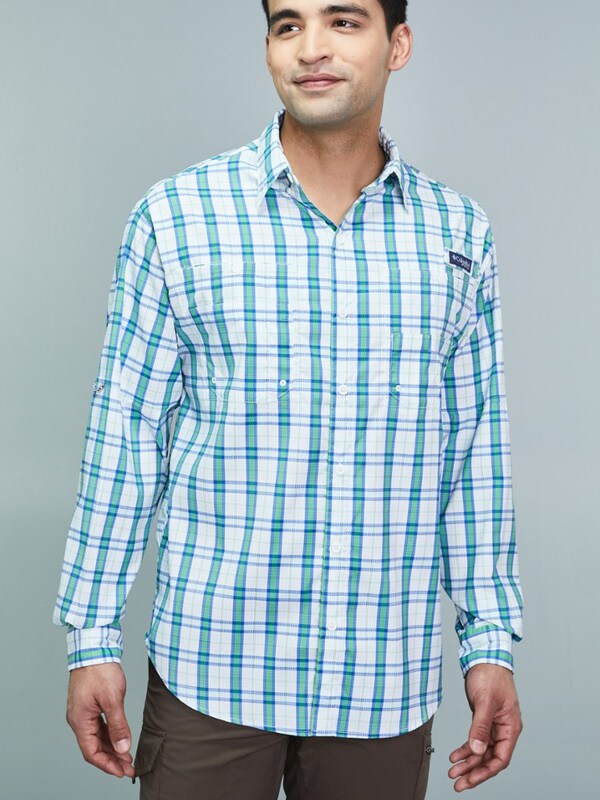 This doesn't matter when I'm using it for hiking or fishing purposes, but if I were to wear it to the office, then I'd need to do some work to get the wrinkles out. Classy enough for the office? I think so. 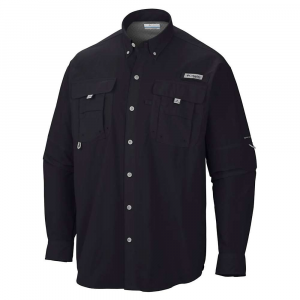 If I were to choose one standout feature of this shirt, it would be the mesh-lined vertical back vents, or as Ex Officio calls it, the Vertebrae Ventilation System. The opens are discreet, yet highly effective in letting cool air in and warm air out. One caution, cycling at fast speed in this shirt (or any other back-vented shirt I've worn) can make you feel like you're wearing a parachute. 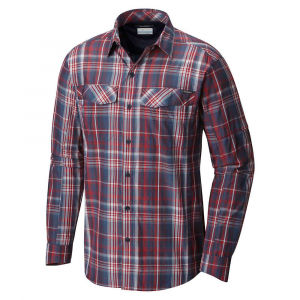 With the nylon/polyester fabric, this shirt's moisture-wicking and quick-drying properties are sufficient. 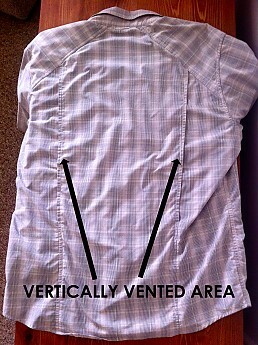 The mesh lining is a key part in the ventilation that stretches from the shoulders to lower back. I have snagged this shirt a couple times in recent months and only once did it pull the fabric. I don't know if it's the color combo or the shirt's pattern, but the snag isn't really noticeable even though it's directly on the left chest area near the low-profile zipper (single breast security pocket that I never use). You have to look very closely to find it in the photos below. UPF: I never really know how effective garments with built-in UPF protection really are, but it probably doesn't hurt my fair complexion to have it. Recommendation: While I won't go so far as to say I was the better looking of the two on our wedding day, I will have to say I felt great that first time I wore it and have felt great wearing it ever since. You may be the first person to review their wedding clothes on Trailspace, Kiwi! Great review. Now I'm curious—what did your wife wear? Great review, Kiwi! Must be nice to have gotten married in something so comfortable! Nice review of your "tux"....too funny. Stellar review - thanks for posting! 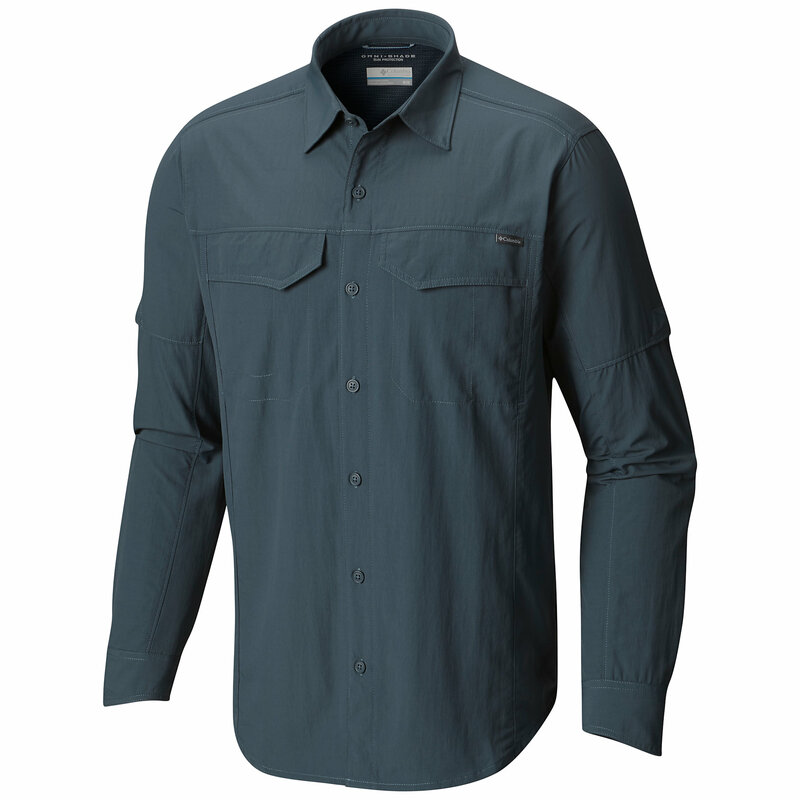 The ExOfficio Dryfly Flex Shirt is not available from the stores we monitor. It was last seen September 27, 2015	at Sierra.